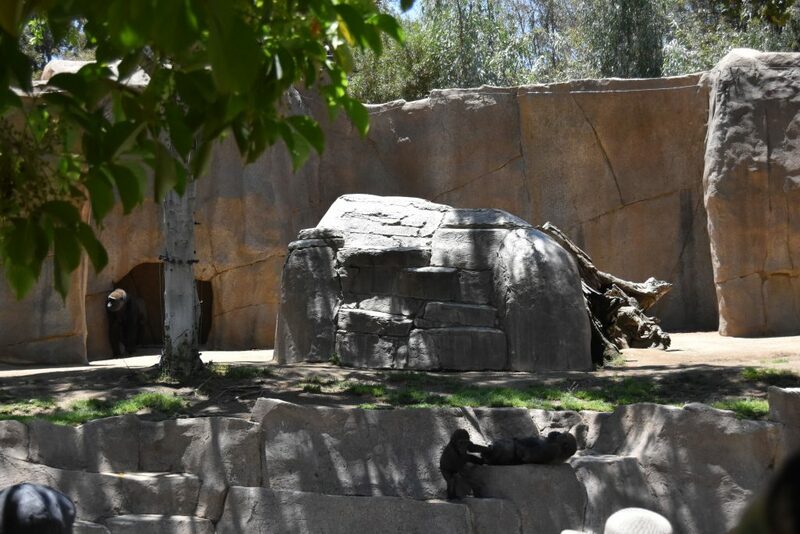 My family had the opportunity to go to the San Diego Zoo Safari Park for the first time. I have always been curious what it is like but have never been. 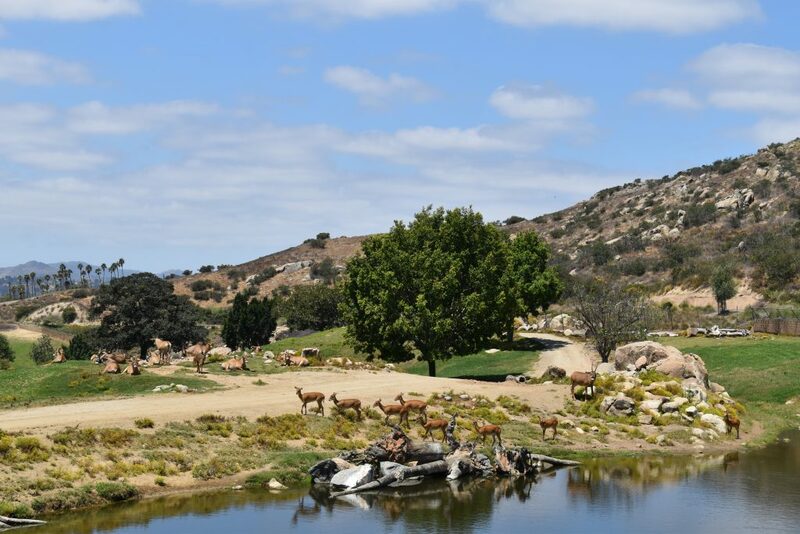 Read on for our experience at the Safari Park and for some tips to make your trip a more enjoyable one. This post contains affiliate links. This website may receive a commission from purchases made through these links. See site policies for more information. Um, we arrived one hour after the park opened. Just one hour! However, we wound up having to park pretty far down the hill. We were better off than those that came after us, but still. It was crazy! We were able to complete the walk in less than five minutes because we arrived early, however, we did not have toddlers in tow. I don’t even want to think what that would be like. The hill was definitely a bit rough. Bring your walking shoes and strollers. 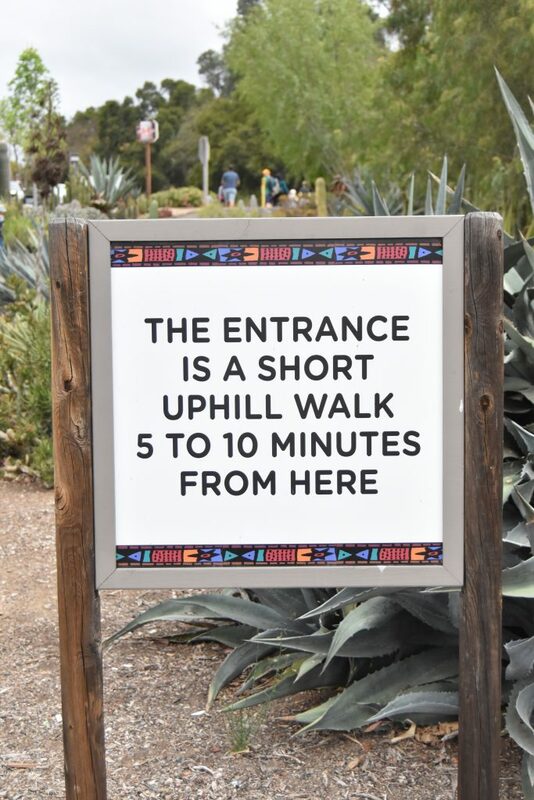 And if you can, come as soon as the park opens! 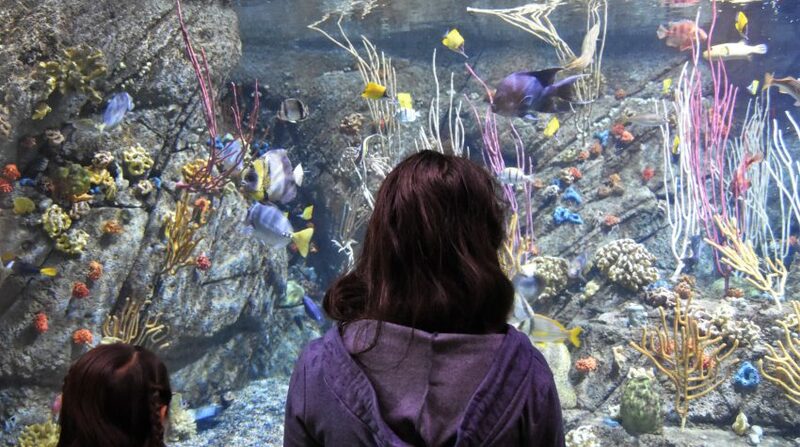 We went to the San Diego Zoo last spring and purchased a 2-day park ticket. I think this is the best buy if you want to visit both the San Diego Zoo and the San Diego Zoo Safari Park. When you buy your 2-day ticket, you have an entire year before your second ticket expires. Lucky for us since we were unable to return to use the second ticket until exactly a year later! Your entrance to the Safari Park includes a ride on the Africa Tram. I recommend that you walk straight through the park to the tram when you first enter. The tram tour is located all the way at the end of the park. You will be tempted to stop to see all of the animals along the way. Don’t do it! The line was a 90 minute wait by 2p.m. the day we visited. The Tram line gets longer as the day goes on. I think this naturally a function of its location. People walk through the park along the way and stop to look at animals and other sites. We got side-tracked for about 10 minutes, but a friend warned me beforehand. So, I strong-armed my family to keep walking. 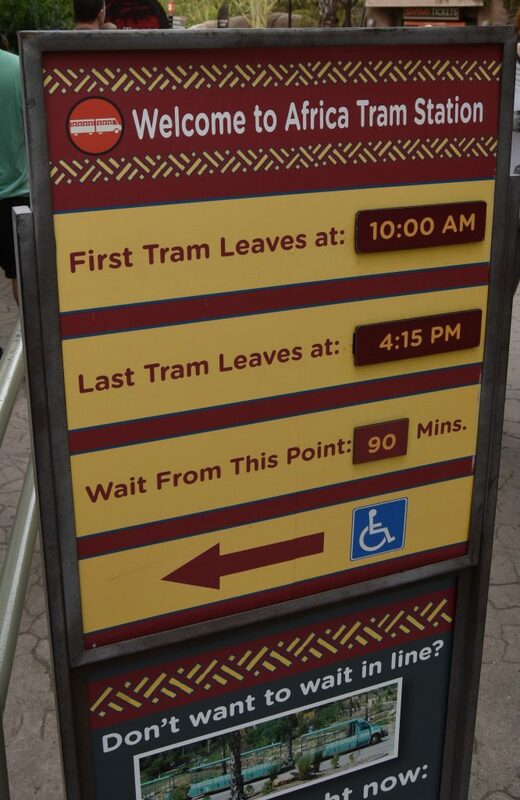 Our tram line wait wound up being 40 minutes. The line felt like it was moving most of the time, but 40 minutes is nothing to sneeze at. When we passed the line later, it was crazy long! Of course, if you do not want to wait, you can pay an extra fee to bypass the line. Looks like someone is following the Disney model…except that this pass only appears to move you ahead for one line in the park. I’m embarrassed to admit that I was scared to visit the San Diego Zoo Safari Park for years. I saw commercials and thought it would be like Jurassic Park…where you’re in a tram and lions and other scary animals are roaming around and can come and eat you. Go ahead, have yourself a good little laugh cupcake. 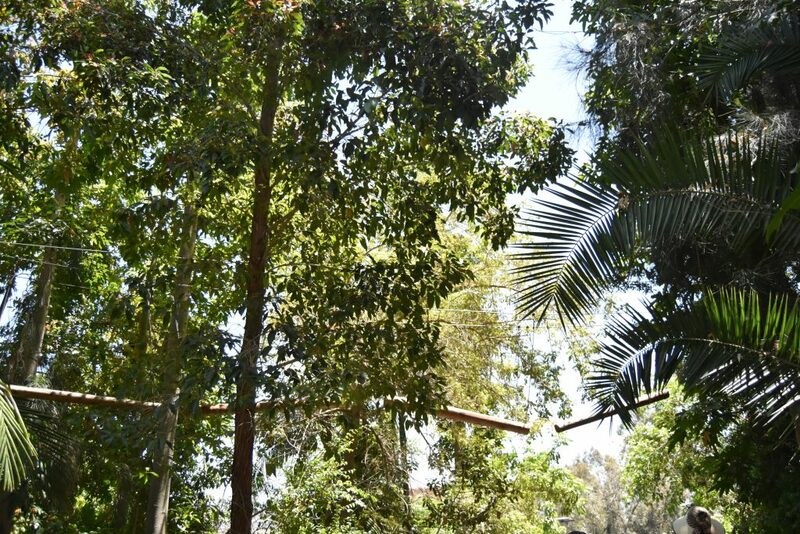 Just to ease your fears…the Africa Tram ride is not scary at all. In fact, it was extremely tame. The tram drives on a designated road very far from the animals. There is no opportunity for the animals to get anywhere near you or the tram. We saw some gazelles and some type of antelope, along with giraffes. Sorry I can’t be more descriptive, but I forgot to take notes! There are other safari options available for an additional cost. I did not partake in these experiences, but in my honest opinion, the Africa Tram is what best suited my family’s needs on the day that we went. 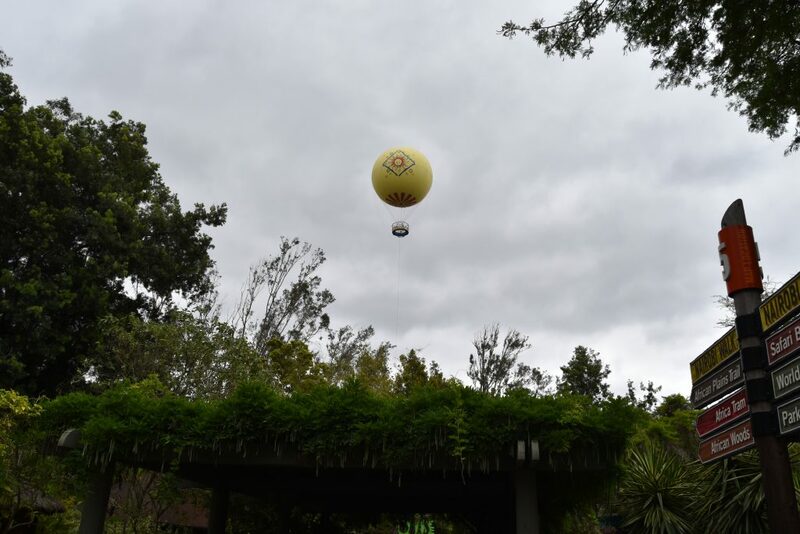 Balloon Safari: You get to ride in an air balloon 400 feet in the air and look over the park for 10 to 12 minutes. However, this air balloon is anchored to the ground. So, you won’t be roaming around the park. Of course, you do get an aerial view of the animals. The price varies, however the cost was $18 per person the day of our visit. Caravan Safari: Ages 8 and up, price $125 and up. For a family of four, this is quite a pricey ticket. I saw the guide feeding food to some Giraffes as they walked up to the caravan. Each person in my family was able to feed a giraffe up close for only $6 per person at the Living Desert Zoo in Palm Springs. I understand that the Safari Park performs important work for wildlife and these fees help support that. However, if your kids really want to get up close to feed Giraffes, I recommend the Living Desert for that experience. Post to come in the future. 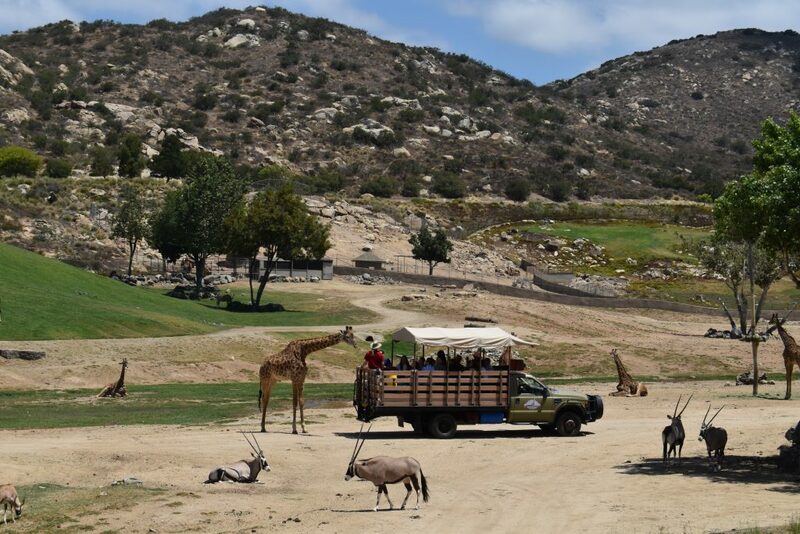 Cart Safari (Asia or Africa): All Ages, $54 and up. The website states you will have photo opportunities and a tour guide. Jungle Ropes Safari: Ages 7 and up, $54 and up. This one looked really fun. Again, I found the cost to be prohibitive for a family of four. Of course, you are paying for the experience. Participants get to make their way through rope bridges, tight ropes, etc. up in the air. It looked like a fun course and you could see it as you were walking through pathways. Flightline Safari: Ages 7 and up, $79 and up. You get to experience two zip lines going over the park. Behind-the-Scenes Safari: Ages vary depending on animals chosen, $89 and up. This includes an up-close encounter with animals. Roar and Snore: Ages 3 and up, $140 and up. This includes a sleepover at the park. 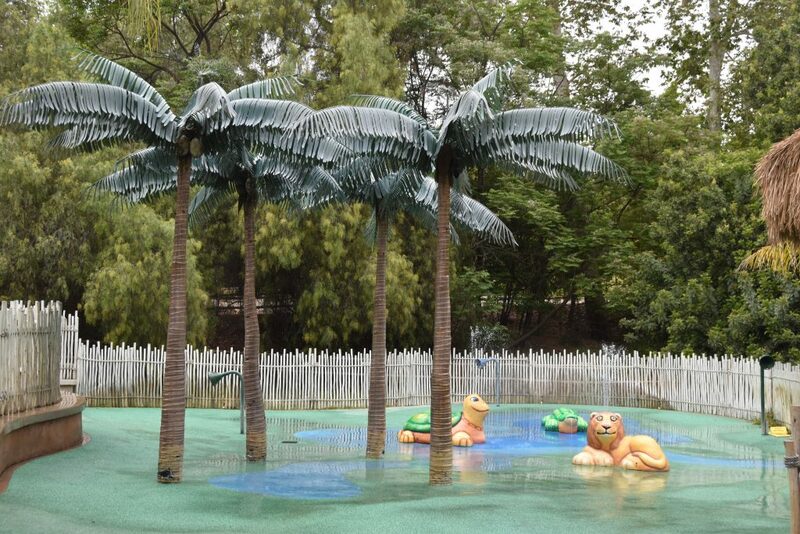 Ultimate Safari: Ages 3 and up, $690 and up. This is a 5 to 8-hour personal tour. 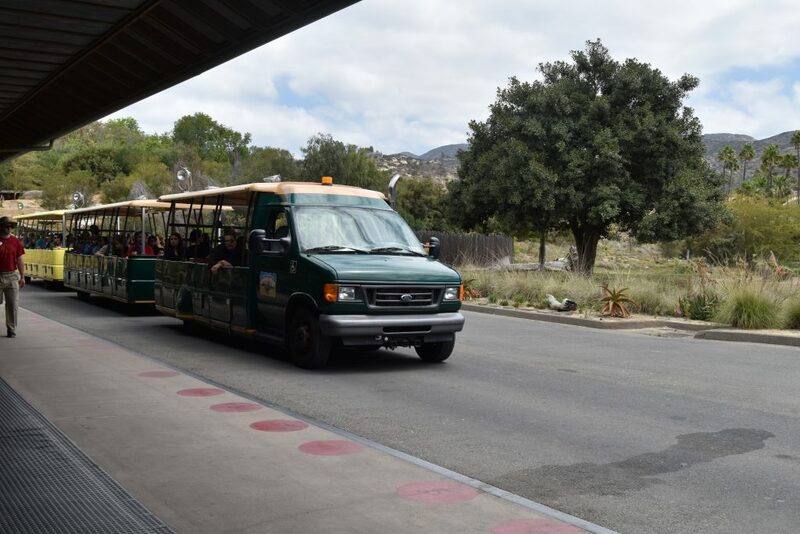 Our absolute favorite experience at the San Diego Zoo Safari Park was the Cheetah Run. 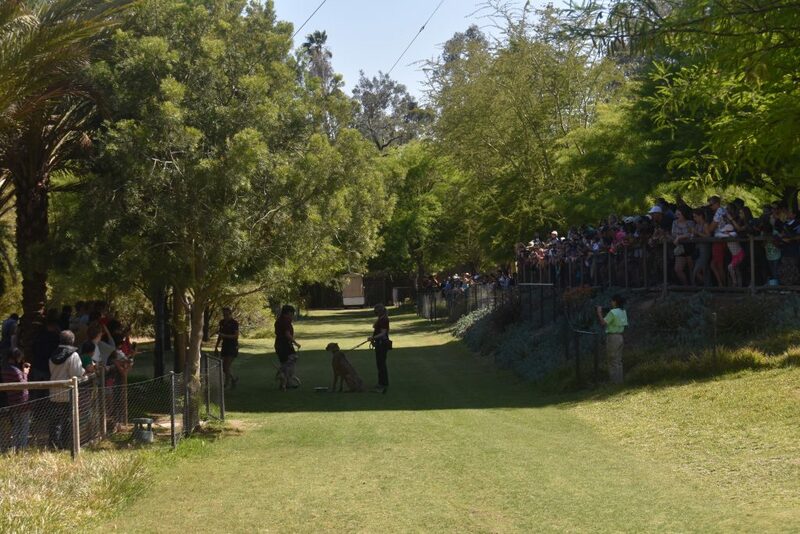 You get to see a cheetah run down a grass path in the middle of the park. The cheetah chases after a stuffed animal that is tied to a rope. A machine pulls the rope and it is fast! The Cheetah taking a rest after her run. If you want the best possible view of the cheetah run, I recommend that you go stand on the middle of the bridge one hour before the start time. The bridge and surrounding fence areas were nearly full by 30 minutes before the start time. If you stand over the bridge, you get a straight shot view of the cheetah as it’s let out and runs down the grass path. It is an awesome experience. I am not a fan of waiting anywhere for an hour just to see a 10 second or less run, but how often do you get to see a cheetah run right in front of you? If you want to bypass all of the waiting, you can purchase the Cheetah Safari tickets in advance for $59 and up. This is arguably worth the cost, but you have to plan ahead. You get track-side seating just feet away from where the cheetah is running. Before the show, you get to meet another African animal and take pictures. After the sprint is done, you get a special meet and greet with the Cheetah and its trainer. Now, I admit that I’d be scared. However, I always dreamed of running like a cheetah when I was a kid! Remember Cheetara from ThunderCats? Yeah, I wanted to be her. These guys were so fun to watch! There was a baby and he was very entertaining. All parents could be heard telling their kids that the little gorilla acted just like them. It’s funny because it’s true. Make sure that you don’t miss this part of the park. I think your best bet is to buy the 2-day pass. I would rather not pay $54 for the Safari Park experience. I feel like I’m getting my money’s worth with the 2-day pass. The San Diego Zoo Safari Park a beautiful place, however the San Diego Zoo has a lot more things to see and do. The Safari Park is more relaxed. I would compare it to Disney Parks. The San Diego Zoo is Disneyland, while the Safari Park is California Adventure. I like both, but there is a lot more crammed into Disneyland. I hope that analogy makes sense. Try to go when the weather is not too warm. It will make the visit much more pleasant. Use your AAA (Auto Club) discount! However, the site states you are only able to get a AAA discount if you purchase tickets in person. Buy your tickets online to avoid the lines at the gate. Buy online, print out, and walk straight through. Rentals are available for strollers, lockers, wheelchairs, and motorized wheelchairs. Take battery chargers for phone and camera. Obviously, you want to get pictures of your experience at the zoo. Batteries always seem to go out once you want to take pictures. There are kiosks with USB phone chargers that you return once you’re done using them. Beware: recent news says hackers can get your information this way. Take hand sanitizer, wipes, hats, and water. 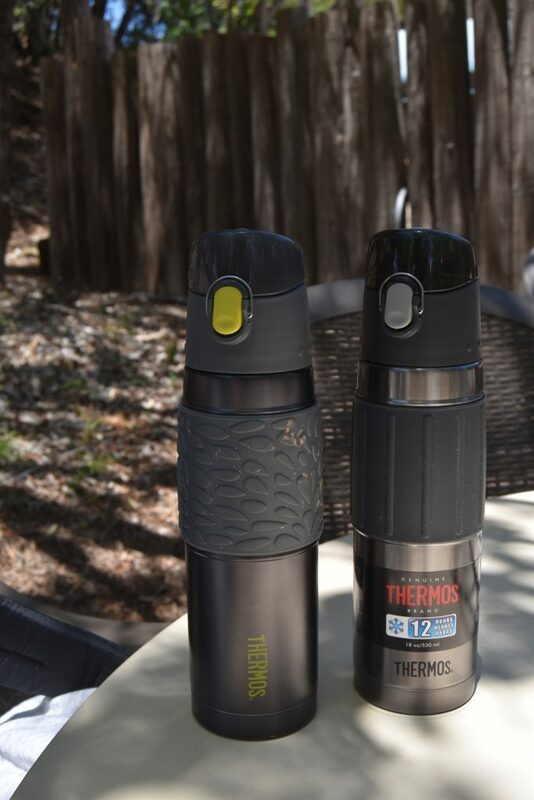 Take a thermos to keep your water cold. They keep your water cold for hours. Take sunblock and a hat! Take a change of clothes and towels if you have little ones. There is a splash pad and they are likely to want to run through it on hot days. Take your allergy medication if plants are an issue for you. The park has lots of beautiful plants and flowers, one of the things I loved about it. However, it was definitely a trigger for allergies. Take advantage of the shows and demonstrations throughout the park. 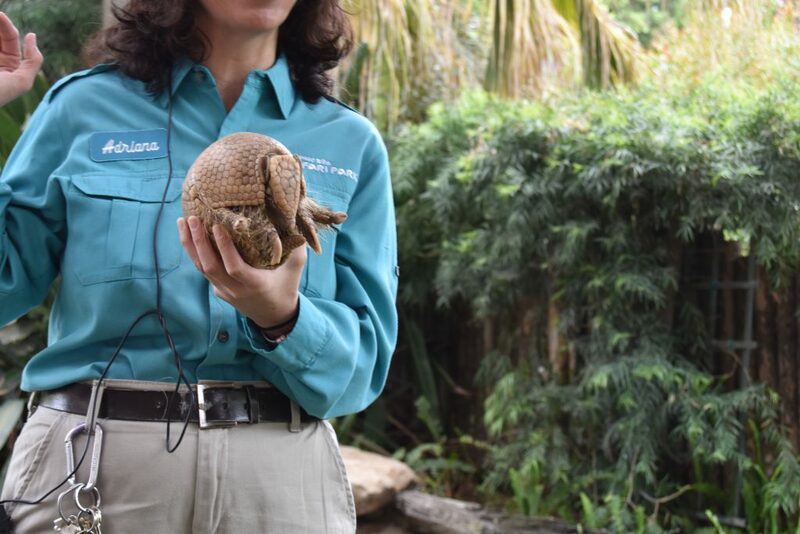 We got to see an armadillo and it was an unexpected perk. There was also a beautiful bird at the entrance. 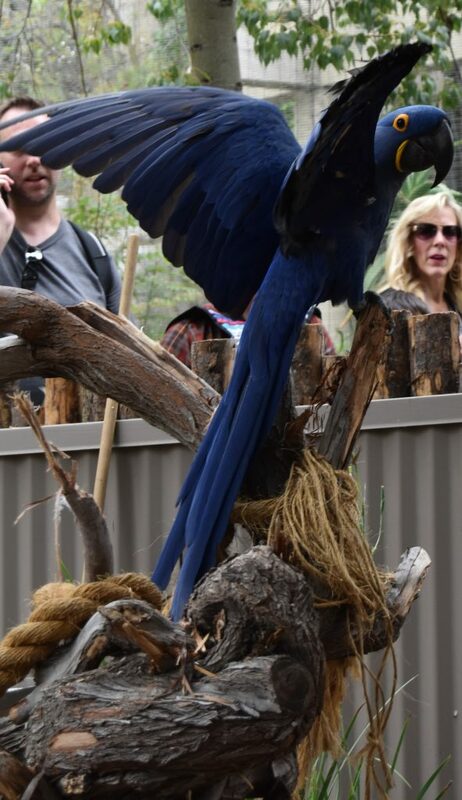 It was funny because this bird was purposely posing for pictures! We enjoyed our visit to the San Diego Zoo Safari Park. I hope that you will find our tips helpful when you make the trip out to the park. 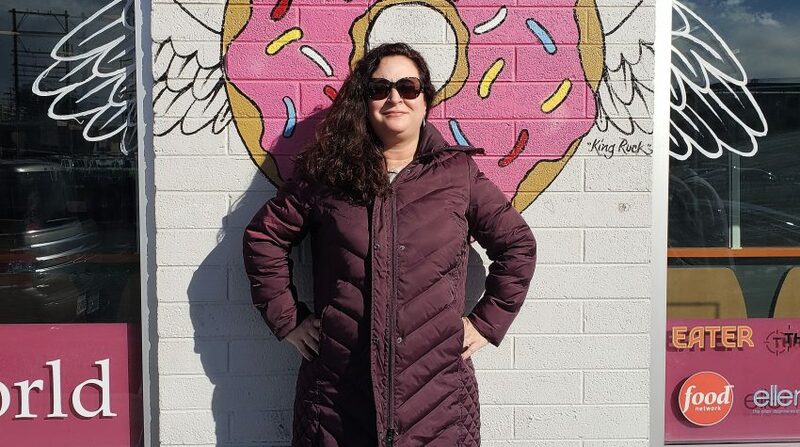 LOOKING FOR MORE SOCAL FUN? GREAT WOLF LODGE: IS IT WORTH IT?